Stainless Steel Rack and Wall Units. 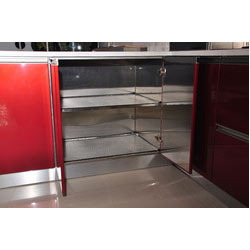 We offers Stainless Steel Modular Rack which comprises of storage facilities. It comprises of glass component as shelves. Half of the product is based on steel and the other part rests on glass. It has multiple shelves. It is corrosion resistant and easy to handle. It is available at an affordable price. 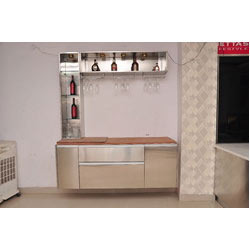 We are one of the renowned manufacturer engaged in offering a varied range of Stainless Steel Rack. These products are highly Eco-friendly and are manufactured at par with the international market level. 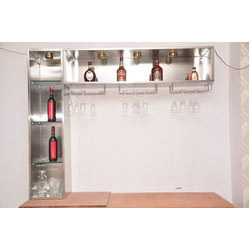 These stainless steel racks can also be manufactured as per customized requirements. Owing to our expertise we are manufacturing, trading and wholesaling an exclusive range of Modern Stainless Steel Rack. We offer Modern Steel Rank to our precious clients at industry leading prices. Looking for Stainless Steel Rack ?